For some of us, iPhone is a sanctuary for private information and details. Private browsing is a great escape hiding our browsing history. Some people prefer to keep their internet history secluded and hidden from view. Whether you are buying a surprise gift or visiting a website you don’t want anyone else to know about, private browsing can be a life saver. For other people the private browsing option can be quite irritating and we wonder how to turn off private browsing on iPhone? At times we need to look for something we saw a while back browsing on our iPhone. But once we do go back to recollect the website from our history we realize we had been using private browsing the whole time. Private browsing protects your password, login information from being saved by Safari. It acts as a sieve which restricts Safari from tracking your search behavior or registering your visited websites as a part of history. Once you do search for the same website again, safari won’t auto fill the information because it would lack the data to do so. Using private browsing option enables you to minimize the storage of your personal data. Frequent visitation to a certain website for e.g health websites, medical webpages or workout pages instantly triggers a spam of advertisements. Enabling private browsing would help you counter that problem. Air ticket prices online varies on the number of times you have visited the site. You would be saving a lot of money on air tickets by using private browsing. The downside of private browsing includes the great inconvenience when retracing your steps to something you saw online. Your password or login information won’t be saved, that means you would have to login every time you visit using private browsing. It clears away all historyclears away all history, cookies and cache so retrieving past information becomes impossibly difficult. You would eventually ask yourself how do I turn off private browsing on my iPhone? Tap on the double boxed icon on the extreme right. Click on ‘Private’ so it changes from highlighted white to plain text. 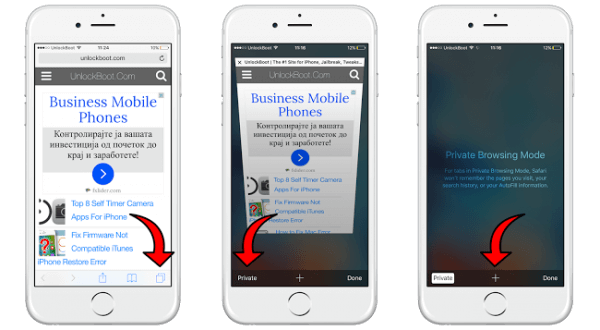 You can follow the easy steps if you are wondering how to turn off private browsing iPhone. In the end it is highly doubtful that your private data would be secured once you turn off private browsing on your iPhone. Your search history, the data you entered to log in, the website you most frequently visited would all be listed as a part of internal storage on your browsing history. If privacy leak is what you are worried about, iMyFone Umate Pro or iMyFone Umate Pro for Mac is an ideal tool to get rid of your worry. It is the top iPhone data eraser which can completely erase and delete unwanted or unnecessary data of all sorts. When the private browsing is off on your iPhone, you can consider it to regularly erase some unwanted history, cookies, and caches. Once erased, data cannot be recovered with any recovery tools. With advanced overwriting technologies, it provides you 3 erase modes to choose from. Erase all data may be necessary especially if you want to give away your iPhone. It would be the all-in-one way to protect your data privacy. As to delete browsing history, it is highly recommended to consider the 2 erase modes below. 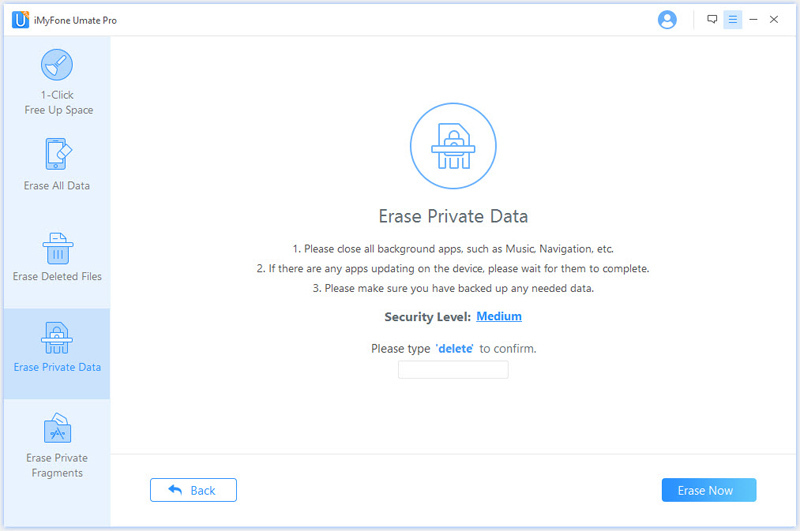 Erase Private Data: It will do a full scanning of your iPhone and find out the private data on your iPhone, such as messages, photos, contact, call history, Safari history, Safari cookies, Safari cache, note, etc. 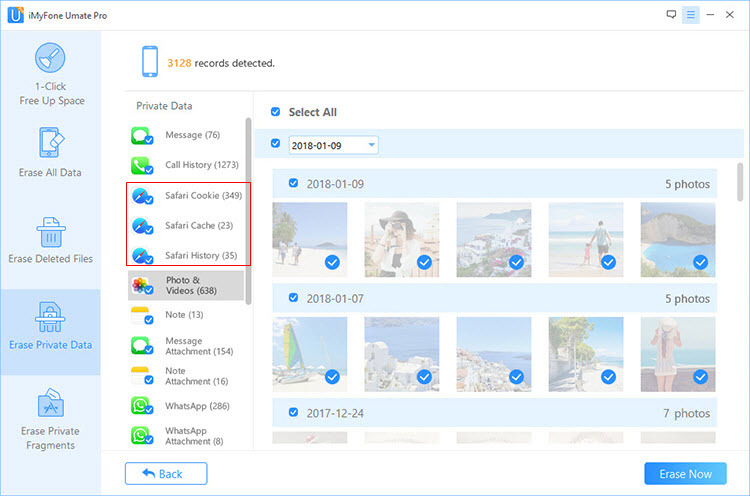 Apart from the default app private data, it also provides the option to individually erase third party app data, like WhatsApp, WeChat, and more. Erase Deleted Files: If you already deleted some files from iPhone, to get rid of your worries that data might be retrieved, it will help you to find out all the data which is under the risk of recovery . You can completely destroy the deleted files without leaving any trace. 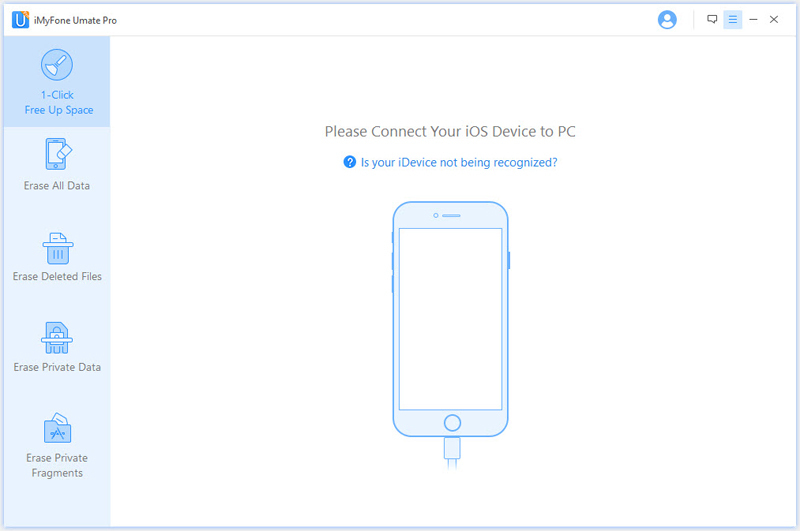 Step 1: First you connect your iPhone to your computer. If this is the first time you are accessing your iPhone through your computer you would need to click “Trust this computer” on your phone. Step 2: Go to “Erase Private Data” and tap “Scan” button. You can preview first and select your unwanted Safari history, Safari cookies, Safari cache. You then click on the ‘Erase now’ button. Step 3: You need to type “Delete” to confirm the action and select the security level settings appropriately. Last click, tap on “Erase Now” button to begin. All types of iOS files are supported to be deleted or erased. Photo cache can be scanned out and completely removed. It also works as a transfer to copy your photos and videos to computer, then you can choose to delete the original ones form iPhone. Large files, like videos, movies, audio books, and media, can be managed according to different file sizes and different formats. A bulk of apps can be uninstalled once. Cookies, app cache, user storage files, temp files, crash log, corrupted files and other 30 types of junk files can be completely removed to regain more space and enhance iPhone performance.